Pima County’s Natural Resources, Parks and Recreation (NRPR) is hosting a community concert Sunday, Oct. 30, 4-5:30 p.m. at Raúl M. Grijalva Canoa Ranch Conservation Park in Green Valley. The Green Valley Concert Band will play western music, including selections from John Williams and Aaron Copland at the “Wild Wild West” concert. Concert-goers are urged to come and dress up in their favorite western garb. Guests also should wear a hat, sunglasses and sunscreen since the concert is outdoors. Guests also may bring a water and snacks with them. A $10 donation per person is suggested. 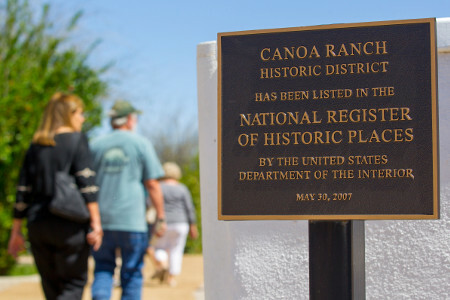 For more information about the ranch, including volunteer opportunities and free guided tours, please visit the Canoa Ranch website, call 520-724-5520 or email CanoaRanch@pima.gov.